The quote above is as apt and succinct a description you could write for the documentary directed by Chris Kenneally and produced by Keanu Reaves. The documentary successfully gives an account of how the film-making process,post the scripting stage i.e. just before production begins has changed with advent of digital technology. It does so by following a linear narrative of the film-making process, right from photography to distribution/exhibition and eventually archival. At each stage, we meet practitioners, be it cinematographers, directors, actors, VFX artists, DI, Producers, Studio execs and learn from and through them of the impact of the digital technology. Watch the video below, to see how idea came about and how they achieved this. 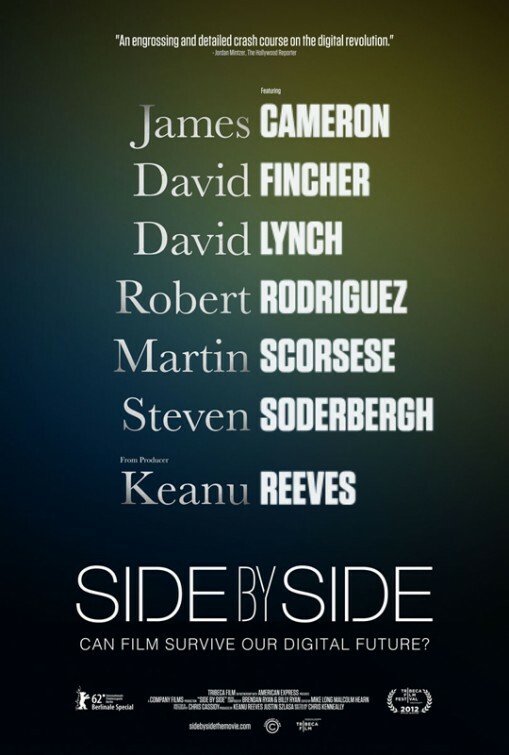 What I really liked about Side By Side was that the film-makers were true to themselves and their objectives. At no point did they deviate from the agenda, equivocally presenting and representing argument from both sides of the divide. Keanu could explore an alternative career as a talk show host or an investigative journalist. With an embarrassment of riches in terms of the interviewees( Scorsese, Lynch, Lars von Trier, Wachowskis, Nolan to name a few) it gives a great perspective on what some of the best practitioners of our time feel about a much loved and popular form of art &entertainment. The documentary is slated for a theatrical releases in the U.S. and is currently making rounds of the festival circuit and trying to promote it. I was really glad to have caught it at the 0110 DIFF in Delhi. I strongly urge all budding filmmakers and film enthusiasts to watch it at their nearest screen soon.